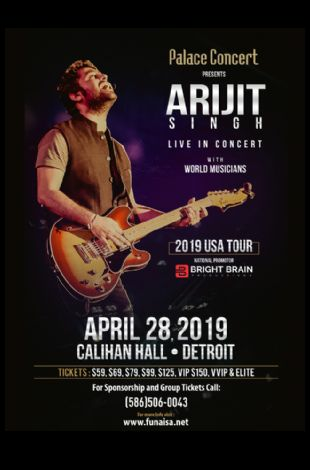 Arijit Singh is touring USA in 12 cities this April and May for the 1st time. 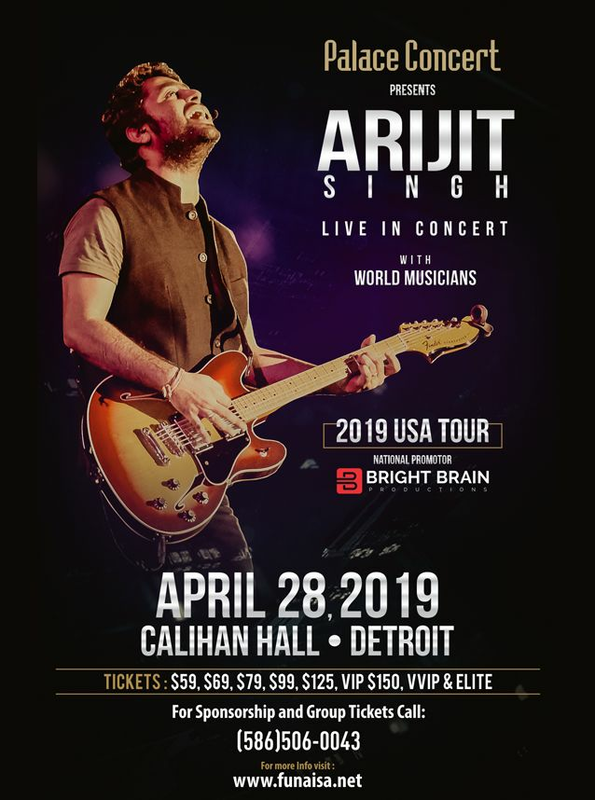 The show features Arijit's core band and talented musicians from all over the world. For the First time in Detroit.